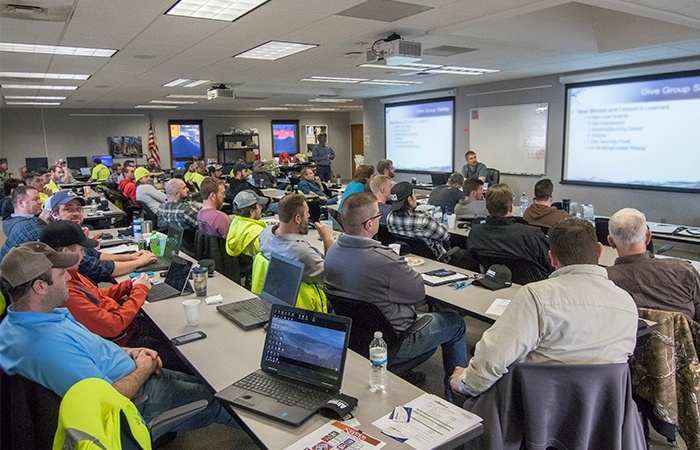 At Brennan, training is the backbone of our safety program, and we have come to discover a high return on investment by bringing much of our training in-house. Doing this helps us prepare our workforce for our unique work features, which in the long run, lowers our Experience Modification Rate (EMR). A company’s EMR is a number used by insurance companies to determine the past cost of injuries and any future chance of risks. The lower your EMR number, the better your standing compared to similar companies. The average industry EMR rating is 1.00, so companies that can get a lower rate than this save money when it comes to insurance premiums (not to mention savings associated with eliminating workplace injuries). When taking into account the number of manhours we work each year, our current EMR of .52 translates to a savings of up to $400,000! We believe one of the reasons we achieve such a low EMR is because we focus on quality when it comes to training.